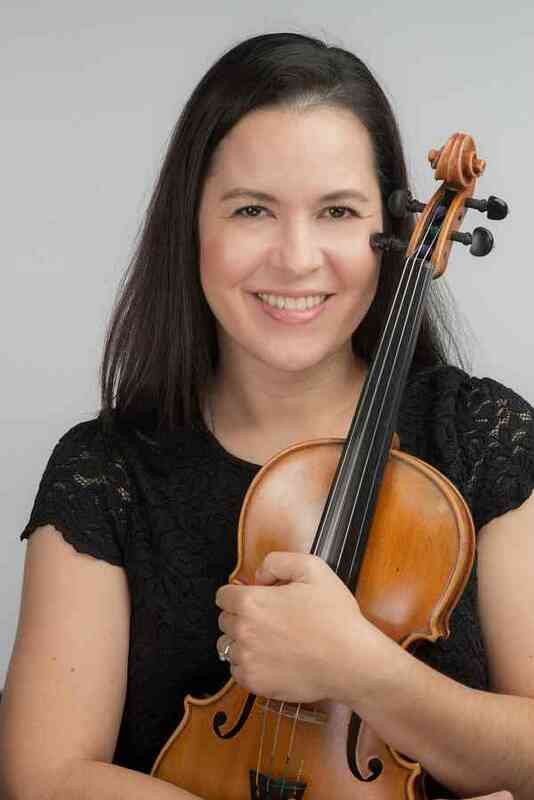 Violinist Dr. Nikki Routman Ebisu enjoys a multifaceted career as pedagogue, performer and clinician. Her collaborative performances and engagements have taken her all across the globe, from the USA, Europe and Asia. An active music educator of all levels and ages as the Director and Owner of Violin Artistry Studio, Dr. Ebisu is in large demand as a Japanese bilingual violin instructor, and as one of the few remaining to have studied directly under Dr. Shinichi Suzuki. Prior to moving to Hawaii and specializing in younger ages, Dr. Ebisu worked primarily with college-level students, serving as a lead Graduate Assistant and Violin Instructor at the University of Colorado at Boulder, and at ‘Conservatory Music in the Mountains Summer Festival’ in Durango, Colorado. On the performance stage, Dr. Ebisu is a violinist with the Hawaii Symphony Orchestra. Previously held positions include: Honolulu Symphony, Hawaii Pops Orchestra, World Symphony Orchestra (South Korea), Austin Symphony, Cheyenne Symphony, Colorado Springs Philharmonic, Fort Collins Symphony, Greeley Philharmonic and Temple (TX) Symphony. She has also performed with Colorado MahlerFest, Charleston (SC) Symphony, Boulder Philharmonic, Corpus Christi Symphony and Maui Pops Orchestra. She participated in various summer festivals including Interlochen, the International Music Festival in Portugal, and Colorado Music Festival, and was invited to perform at the 2005 Yehudi Menuhin Chamber Music Seminar in San Fransisco as the “Emerging String Quartet” Winner. Dr. Ebisu began her musical studies at the age two in Denver, Colorado, observing other Suzuki student’s lessons and practicing on a fake violin made by a carpenter. Upon moving to Japan at age four, she officially began lessons with the renowned Dr. Shinichi Suzuki’s apprentices at the Suzuki Talent Education Institute in Tokyo, visiting with Dr. Suzuki in group lessons on occasion. Accepted into the Preparatory Division of the Toho Academy of Music in Tokyo at age nine, she was invited to study with violist Sumiko Edo. Dr. Ebisu holds a Bachelor of Arts degree in Music and Pre-Medicine from the University of Texas at Austin. She received her Masters in Music and Doctorate in Musical Arts degrees from the University of Colorado at Boulder. Her primary violin teachers include Sumiko Edo, John Arnold, Dr. Eugene Gratovich and Oswald Lehnert. She studied chamber music with Cavani Quartet, Ying Quartet, Takacs Quartet, Erika Eckert and Judith Glyde. Some of her greatest influences in Suzuki pedagogy were Helen Brunner, Ed Kreitman, Ellie LeRoux, Allen Lieb, Nancy Lokken and Ed Sprunger. Her students have won high recognition in many competitions and programs, including the Osaka International Competition, Oahu Center Mozart Competition, the MTNA National String Competition, Maui Chamber Orchestra Concerto Competition and HMTA State Competition. Her students have been accepted to prestigious music festivals and summer programs including the National Youth Orchestra (NYO-USA) and (NYO2) at Carnegie Hall for three consecutive years, the Aspen Music Festival, Bowdoin, Interlochen and Meadowmount. In 2016, a student was selected to perform Bach’s Concerto for 2 Violins in D minor alongside violinist Midori in a sold-out concert at Hawaii’s Blaisdell NBC Hall. Her students have performed in masterclasses for notable artists including Sarah Chang, Ray Chen, Robert McDuffie, Midori, Martin Beaver, Chee-Yun, Augustin Hadelich, Wei He, Paul Katz, Amy Moretti, Eric Silberger, Joseph Swensen, Almita Vamos, Victor Yampolsky, the Cavani Quartet, and others. She continues to perform recitals and attend conferences regularly, and currently serves as the President-Elect of the Hawaii Music Teachers Association. As a registered instructor with the Suzuki Association of America (SAA), she is pursuing her dream to become a Suzuki Method registered Teacher Trainer.